Universal Orlando is closing Wet ‘n Wild for good on December 31, 2016, the theme park officials announced via its blog Wednesday. 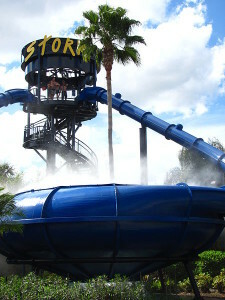 The International Drive water park opened in 1977 and has been owned by Universal since 1998. The company was leasing the 52 acres land on the corner of I-Drive and Universal Boulevard until 2013 when it purchased it for $30 million. That included the water park, a parcel under its adjacent lagoon and the parking lot across Universal Boulevard. Universal Orlando spokesman Tom Schroder wrote on Universal’s official blog that it was too soon to discuss what would happen next with the land. However, the land will reportedly be used for hotel development. The official announcement comes less than a month after Universal revealed it is building a new water park called Volcano Bay near the Cabana Bay Beach resort. That water park is scheduled to open in 2017. The company said there will be job opportunities for Wet ‘n Wild employees at Volcano Bay and across Universal Orlando. Wet ‘n Wild was the 10th busiest water park in the world in 2014, according to a global report of the Themed Entertainment Association as the park drew about 1.3 million visitors last year. Actually, Wet ‘n Wild was the most popular water park in the nation until the end of the 1990s when Walt Disney opened Typhoon Lagoon and Blizzard Beach. According to the report, the park is currently the 4th most popular water park in the nation behind the two Disney water parks and SeaWorld’s Aquatica.